ONLINE PSYCHIC READINGS | Sonya Clairvoyance, psychic readings by email with Sonya fortune teller. Are you searching for truth and real clairvoyant advices ? Using cards, tarot and clairvoyance flashes, I tell past, present, future. 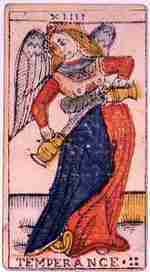 With 60 cards and tarot, I see events dated over twelve months. Ask any question. For fortune told online and e-mail clairvoyant readings, please fill these online psychic reading forms. © 2019 Sonya Clairvoyance, psychic readings by email with Sonya fortune teller.